Morbid Anatomy: Tonight's Event--and the Morbid Anatomy Library--in the New York Times! Tonight's Event--and the Morbid Anatomy Library--in the New York Times! 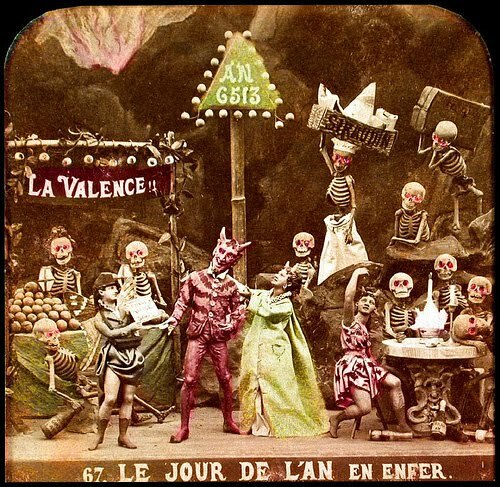 Tonight's Morbid Anatomy Presents at Observatory event--featuring collector and film-maker Ronni Thomas on "Diableries"-- amazing 19th Century 3d stereo 'tissues' depicting the daily life of Satan and his cohorts (as seen above)--and the Morbid Anatomy Library got a write up in today's New York Times. To read the piece (we're the last entry in the story) click here. To find out more about tonight's event, click here. But better come early... this one looks sure to sell out! Image: Found on the 12th Press Website.